Over the last few months, Boston has been forced to strip itself of its rose-colored glasses. We should all know by now that Boston’s deep-seeded racial issues continue to persist, even with a population that is predominantly people of color. We saw it revealed in the seven-part series on racism in Boston from the critically acclaimed Spotlight Team of The Boston Globe. If you are a person of color in Greater Boston, you probably weren’t surprised by the report. Indeed… Who Else Can Be? Structural racism exists in every industry – we, the arts, are not immune to it. It warrants the same critical eye needed to shine a spotlight on the lack of inclusion in the sector. And for me, that focus is on racial equity. The problem in both of these questions should be clear to anyone with an understanding of institutional racism and how it is still unintentionally rooted in the arts and culture sector. The Network for Arts Administrators of Color (NAAC Boston) was born out of my observations of these conversations. I was just starting out in arts administration, after spending years doing “diversity” work on the college admissions side; there was plenty I had to learn about this sector. So where were the others who look like me? 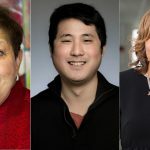 I surely wasn’t seeing them in the meetings I was attending – meetings about how to get more people of color to attend the arts at predominantly white-led organizations. Yes, there are plenty of “qualified” people of color in arts administration, but have you examined your internal structures and practices so that your organization is attractive to “diverse” talent? Is there room for advancement? Is your Board ready to put in the work necessary to make change happen? Is your programming actually attractive to a “diverse” audience? Do audiences of color feel comfortable in your space? These are but a few of the many questions we, as a sector, should be asking of ourselves, if we aren’t already. We must amplify the voices of leaders of color who understand the challenges and can navigate them with expertise. In Amplifying Voices, the second in the 3-part conversation series, Summer L. Williams, Associate Artistic Director of Company One Theatre, stresses the importance of making an impact by moving toward action, because “not everyone believes in the power of what we are choosing to do [and] not everyone is able to understand the impact it can have.” As arts-makers, we know that the arts is rooted in social justice, can create empathy, and form a bridge between differences. The Theatre Offensive’s (TTO) acting Executive Director, Harold Steward, described, in-depth the idea behind TTO’s OUT in Your Neighborhood Model. “Culture belongs to a community,” states Steward, and not one to always be “exported,” which is why all of their work is done within specific neighborhoods of Boston. Steward champions the teachings of John O’Neal, civil rights activist and founder of the Free Southern Theater, and the ideas behind Afrofuturism, as a way for arts organizations to amplify and make a meaningful impact within specific communities. Art, as a career, can impact an individual and community in a number of ways. At her center, Veronica Robles has used art to create jobs for the youth in her community in order to combat youth violence, while instilling in them a sense of cultural pride and financial stability. 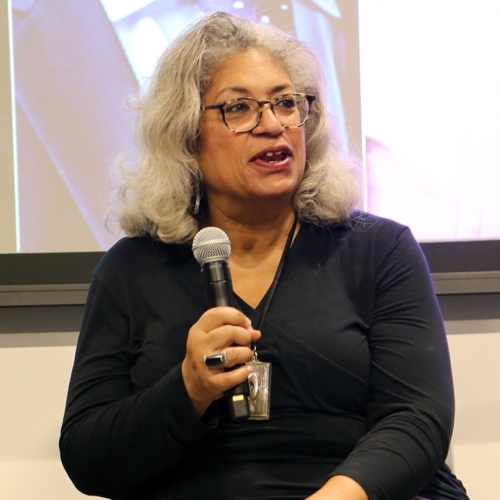 Susan Chinsen, Festival Director of the Boston Asian American Film Festival, founded the festival in response to a call to action from her own community because, as she states, “art has the ability to reach inside of us and make us feel alive” and connected. Therefore, collaboration can help us move toward meaningful change. We are the gatekeepers. We’ve set up the roadblocks. It’s on us to pave a clearer path toward inclusion and racial equity in the arts. What can you do, in your professional life, to make it more reflective of the people who live in Boston? The people on top must learn how to sustain and build like grassroots organizations, therefore allowing for a more equitable redistribution of arts funding, which can drive everyone to be more creative and productive, and ultimately create a more economically healthy sector. Witness the impact for yourself. 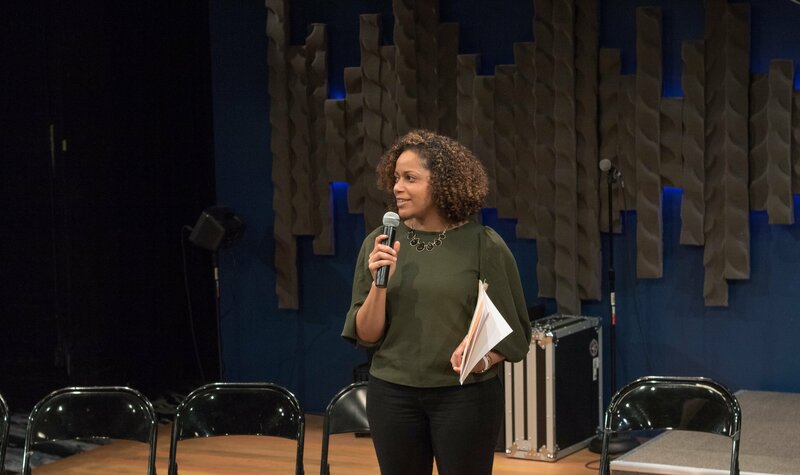 Victoria George is the ArtsBoston Audience Lab Director and founder of the Network for Arts Administrators of Color. When she’s not making change happen, she can sometimes be seen acting her heart out on greater Boston stages. She’s also still dreaming of a tap duet with Gene Kelly.